The Milken Institute, an independent economic think tank in the U.S., has released its first report ranking Chinese cities on their economic performance. A total of 266 Chinese cities at prefecture level and above we studied, divided into two groups, one consisting of 34 first-and-second-tier cities and a second echelon of small-and-medium-sized ones, including 232 third-tier cities. Chengdu of Sichuan Province took top place in the large city group, with outstanding performance in human capital, central government support, industries in the aerospace and aircraft design, and electronics manufacturing sector. Shanghai was second, followed by Beijing's neighbor Tianjin. Beijing, however, only ranks 13th. The rankings are based on actual economic performance, rather than projected success. The index considers job and income growth, gross regional product (GRP), and foreign direct investment (FDI), as well as the strength of high value-added industries in each city. 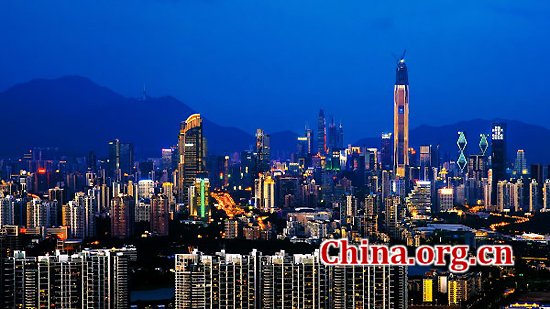 The following are the top 10 best-performing large cities in China.